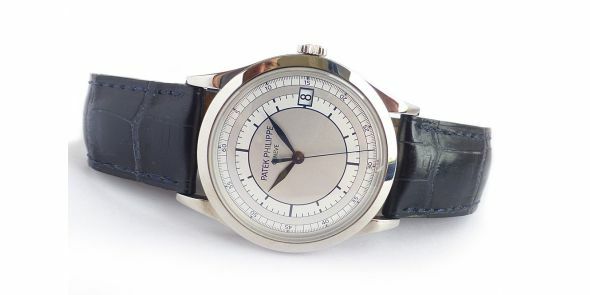 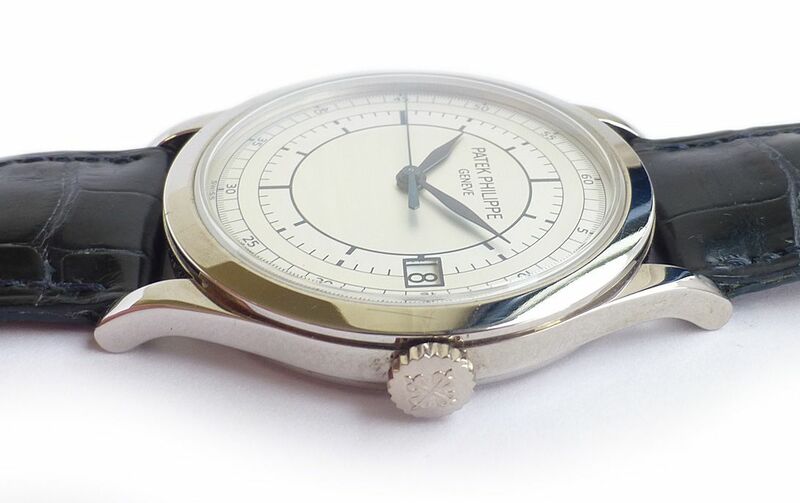 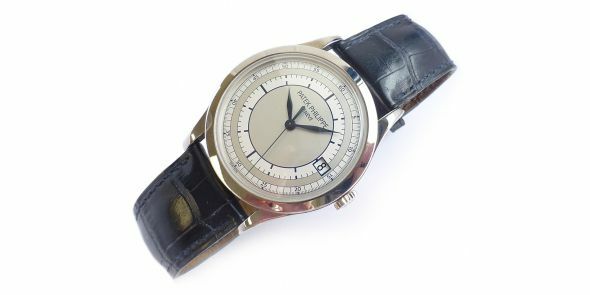 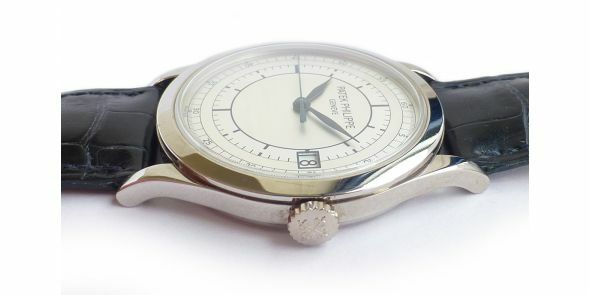 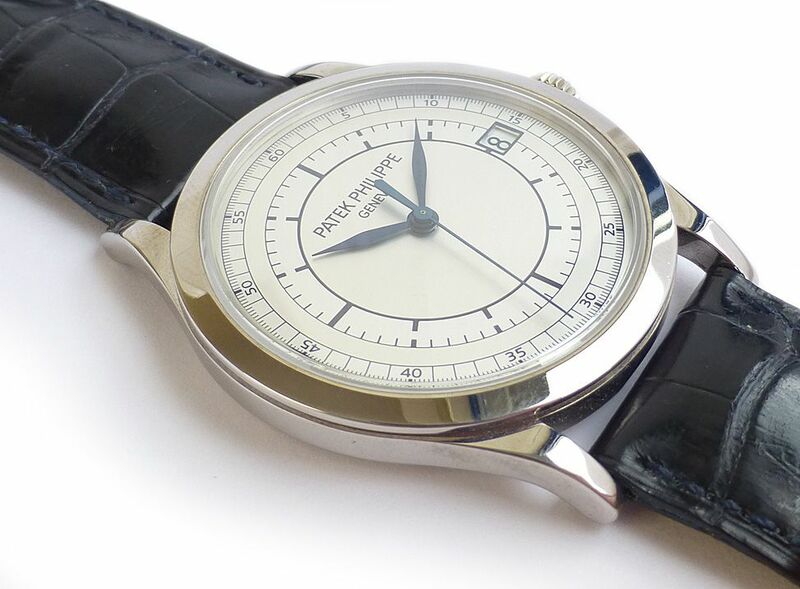 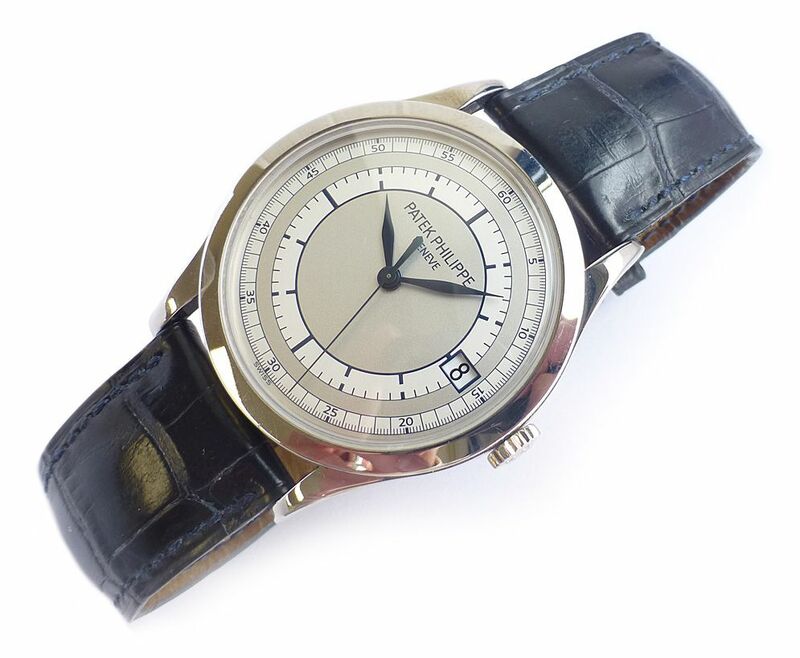 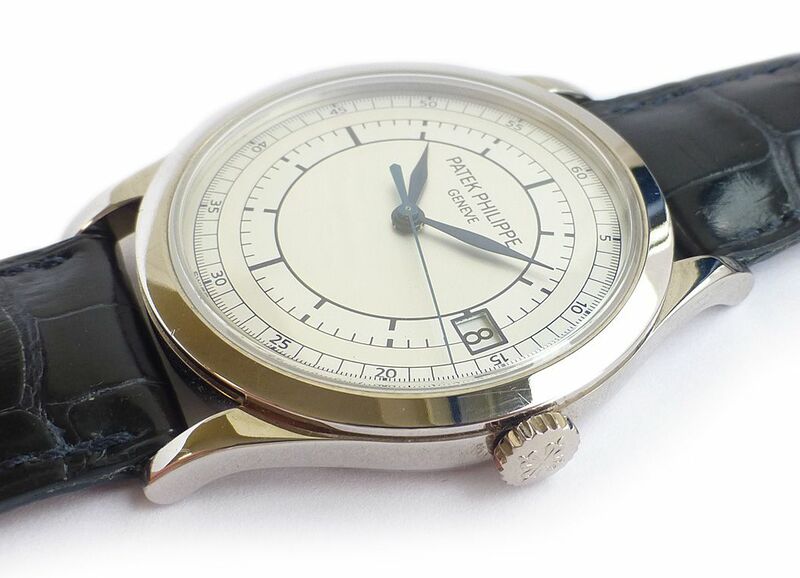 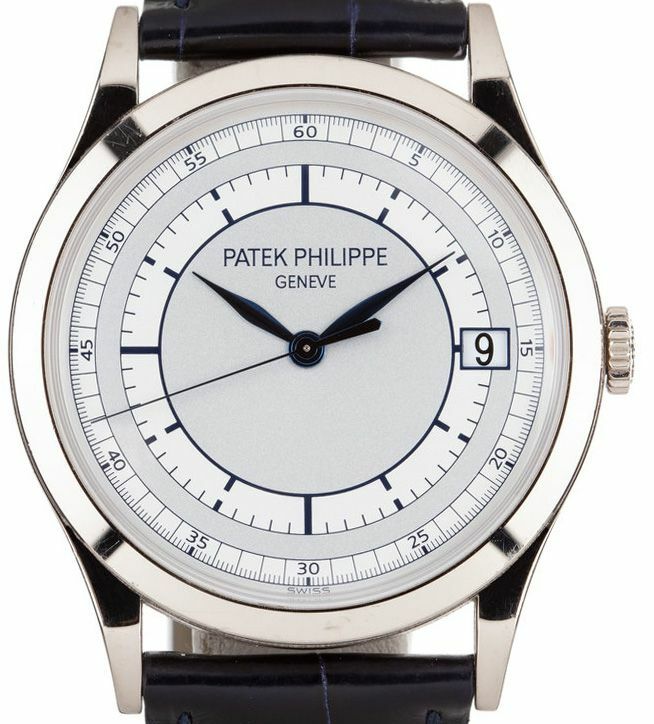 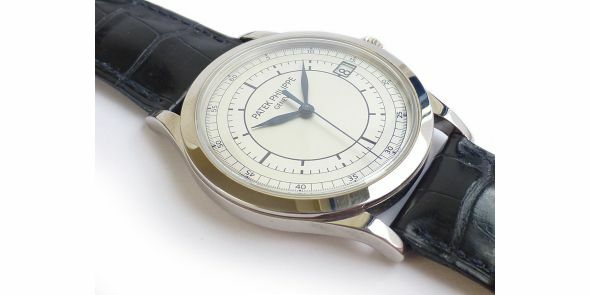 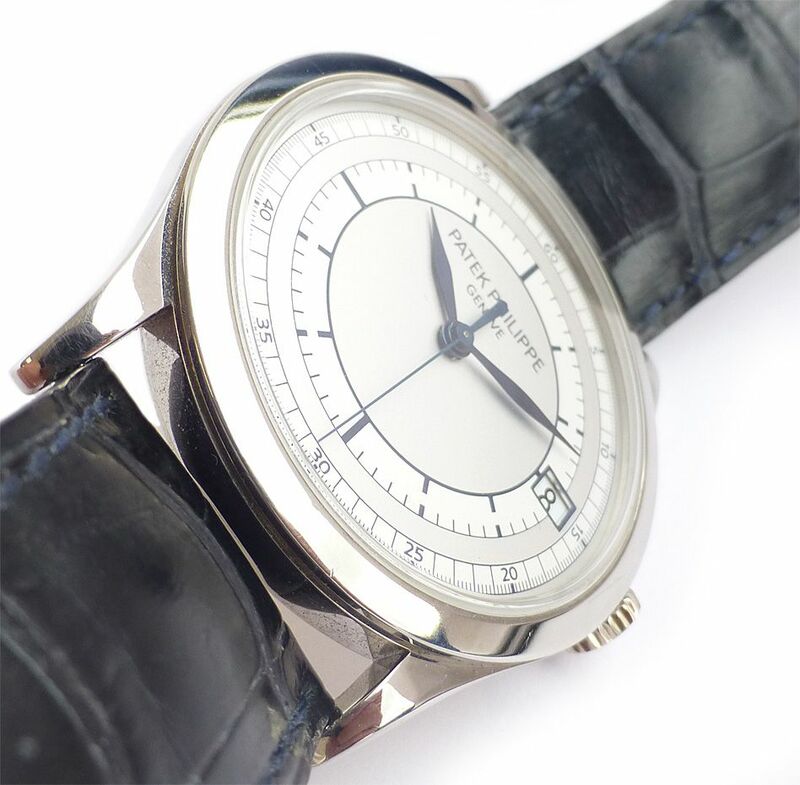 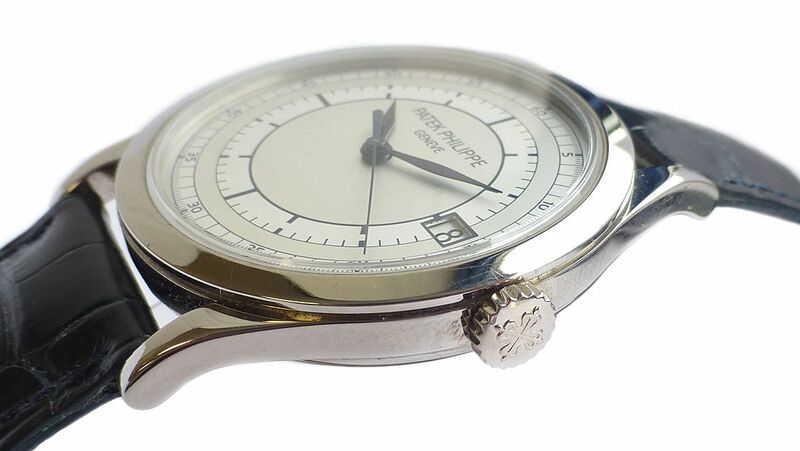 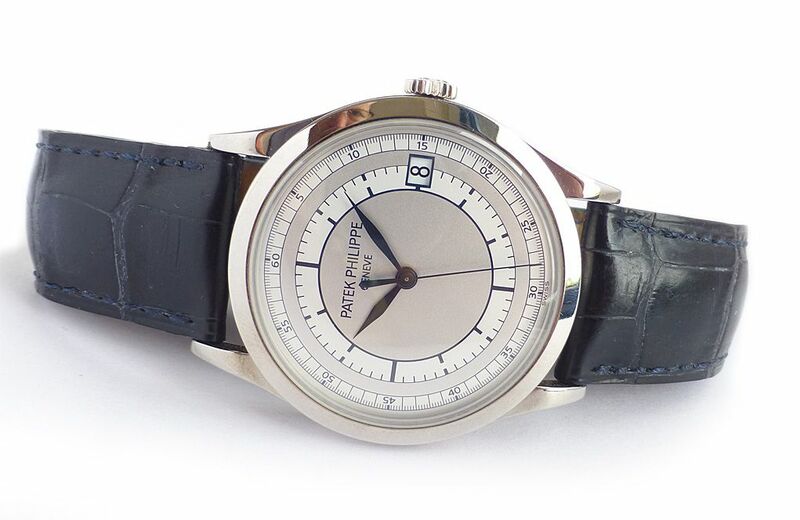 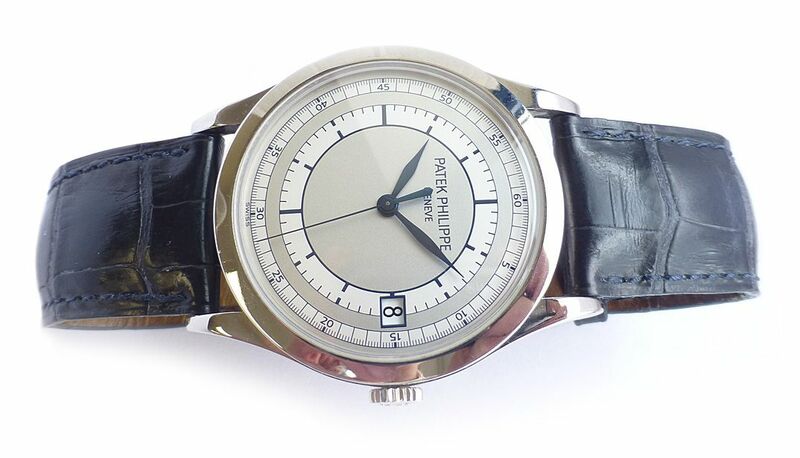 Mint condition Patek Philippe Calatrava 5296 automatic wristwatch in 18 karat white gold. 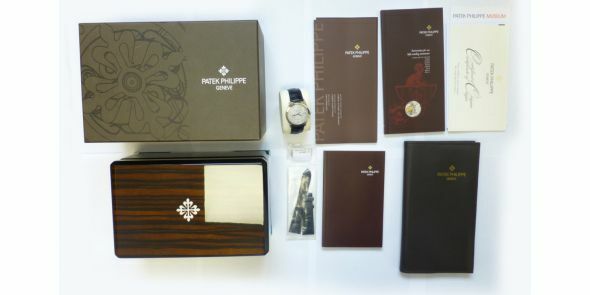 IT comes complete with all boxes, paperwork and certification purchased from authorised Patek Philippe dealers Oeding Erdel in Munster, Germany in July 2010. 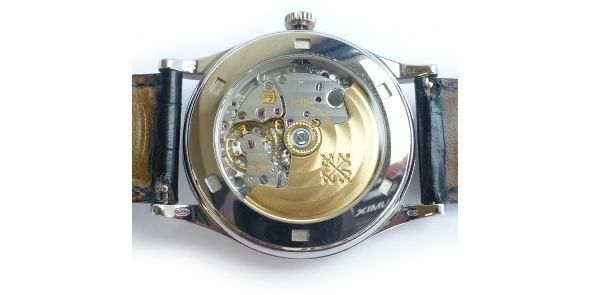 It was serviced less than a year ago by professional watchmakers. 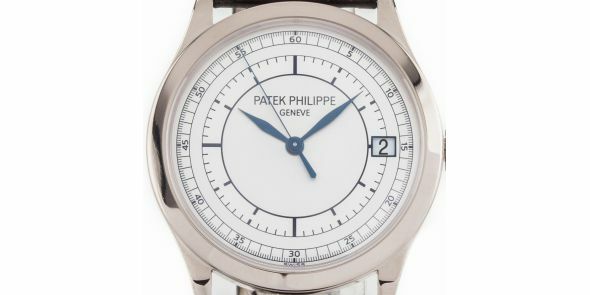 This one is styled in typical Patek Philippe fashion being the essence of classicism and a design principle carried on since the foundation of the company to the present day. 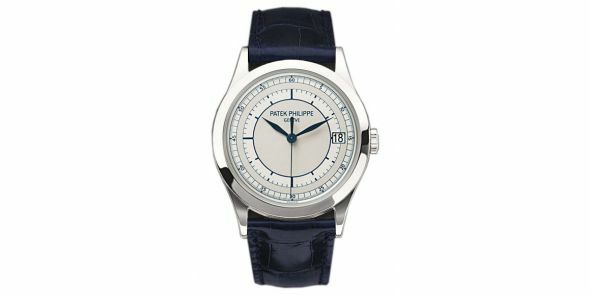 Patek Philippe is without doubt the world’s finest watch making institution. 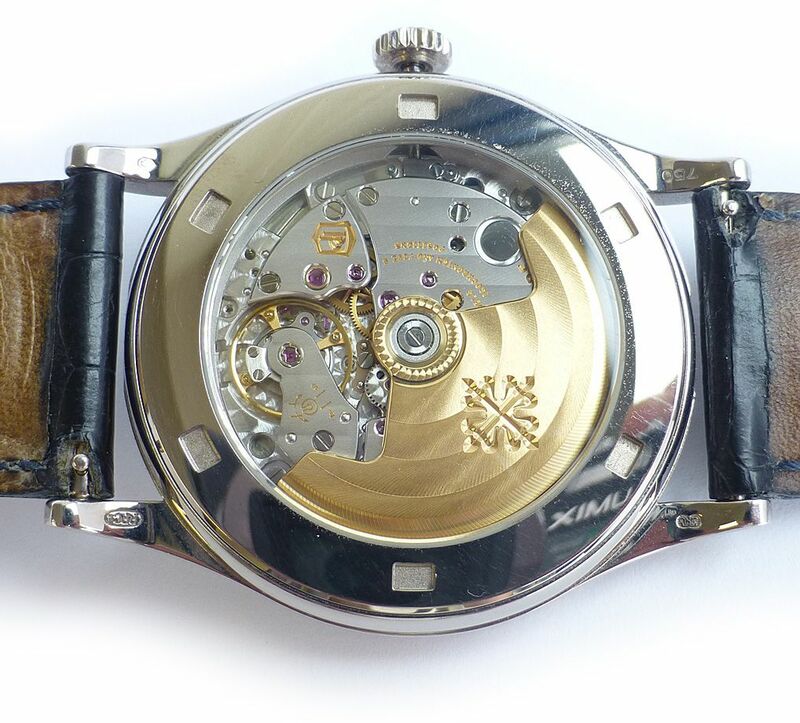 They are the most highly regarded of wristwatches, streets above their closest competitors in terms of quality, engineering and craftsmanship and they are the most desired and sought after watches in the world. 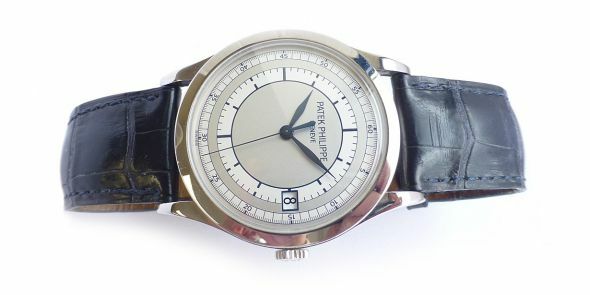 If one can afford a Patek Philippe, it is a prize possession that will last a life time and successive generations when passed down. 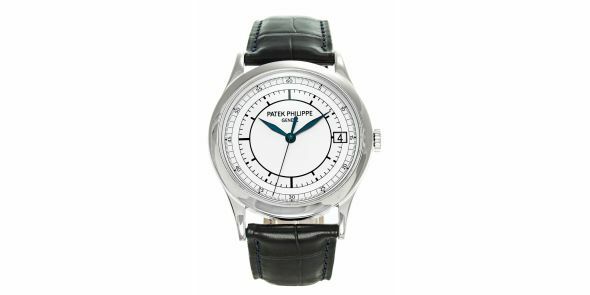 Patek Philippe was established in 1839, and from the outset began to change the watch making world with the introduction of innovations such as the winding crown and setting mechanism, and setting records for mechanical movement precision which still remain unbroken. 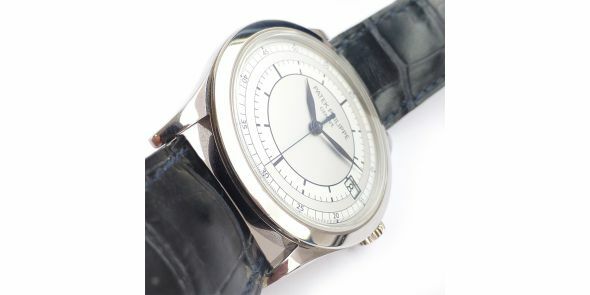 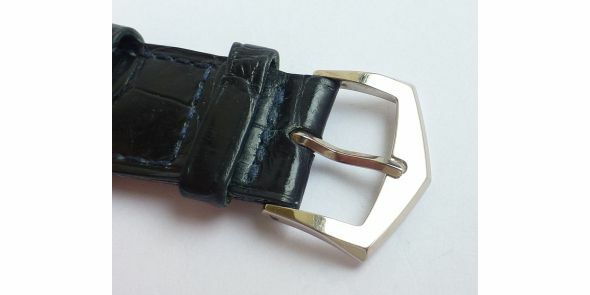 The watch is the full size dress watch case. 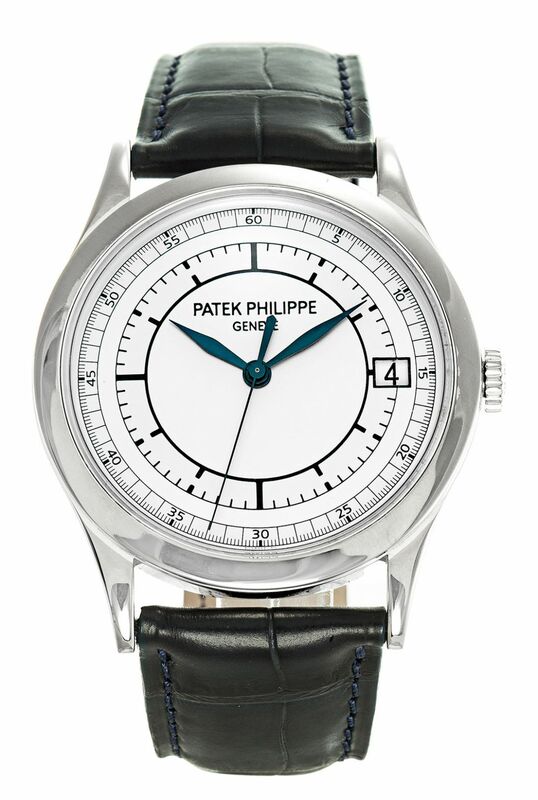 It is a round case with long extended lugs in 18 karat white gold. 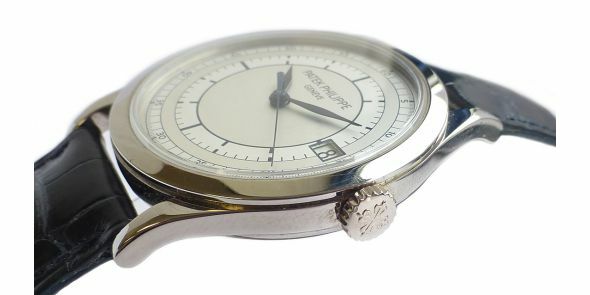 The dial is silvery grey with applied gold baton pointed hour indicators with a double baton at the 12 position. 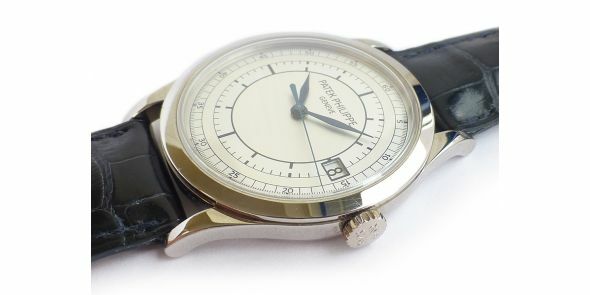 It has got gold broad Dauphine style hands and a subsidiary seconds at the 6 position with elongated primary points. 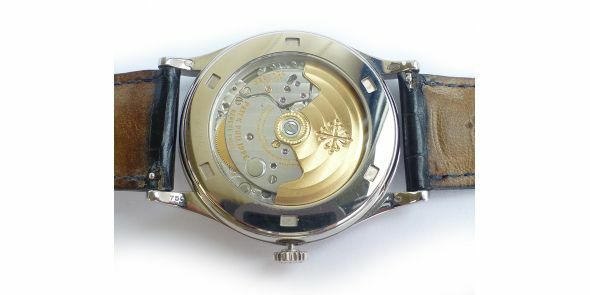 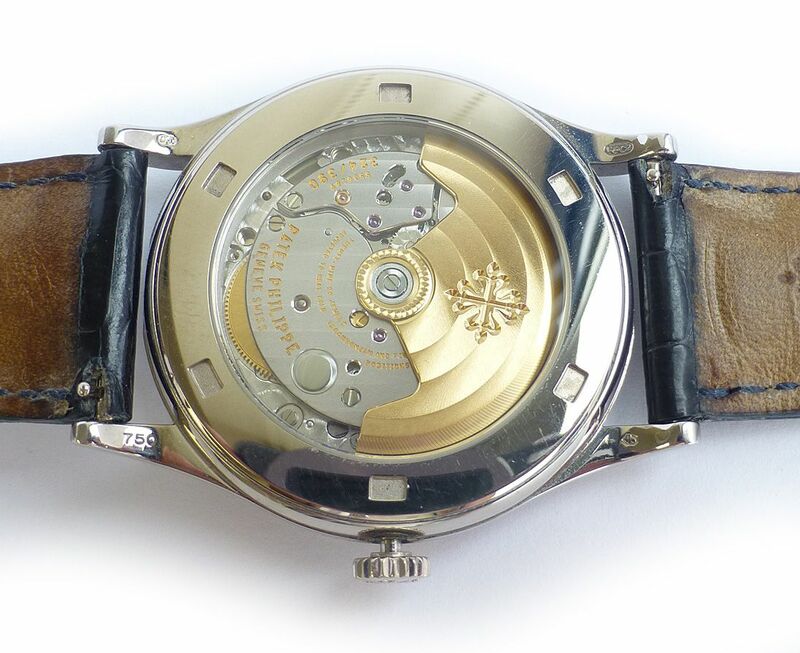 The movement is mechanical and hand wound with a Patek Philippe caliber 215 PS movement. 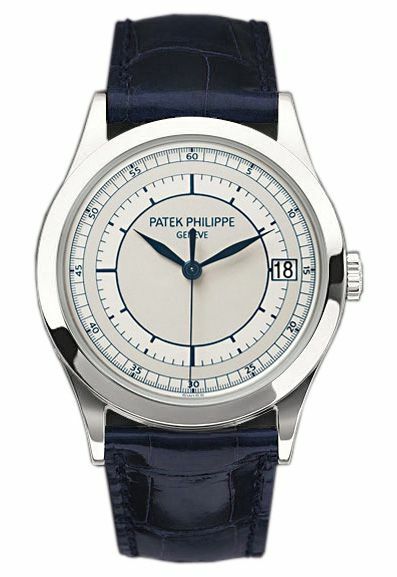 It has got a scratch resistant sapphire crystal and is water resistant to 25 metres. 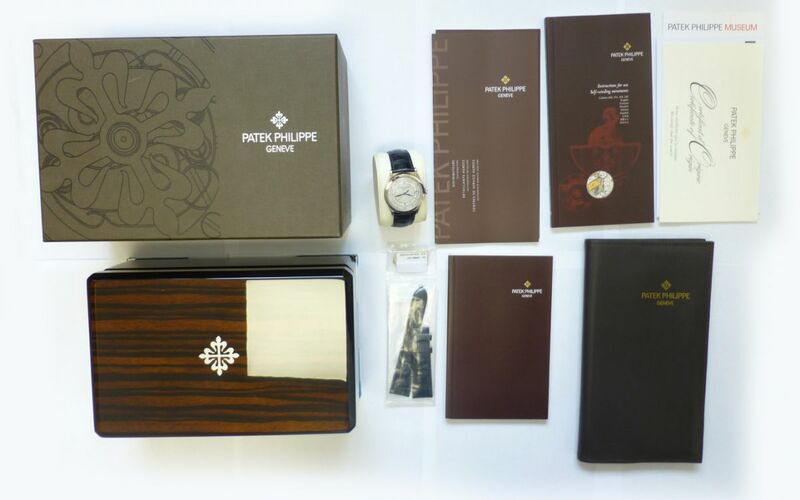 The watch comes with the original box and papers, and of course on the original signed strap with 18 karat white gold buckle. 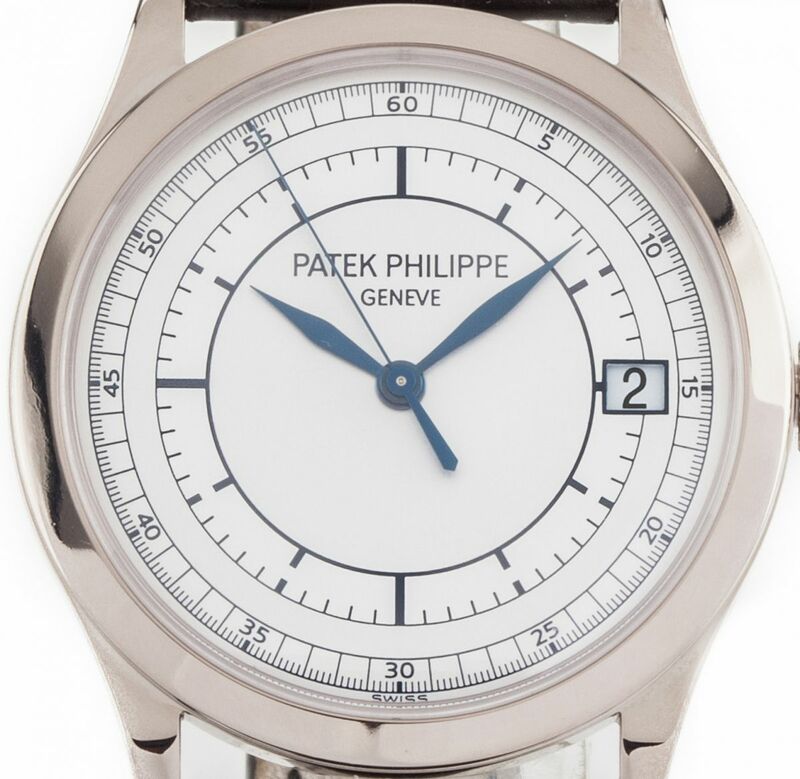 Consignment stock with one week delivery time and bank transfers or cheque deposits on this item. 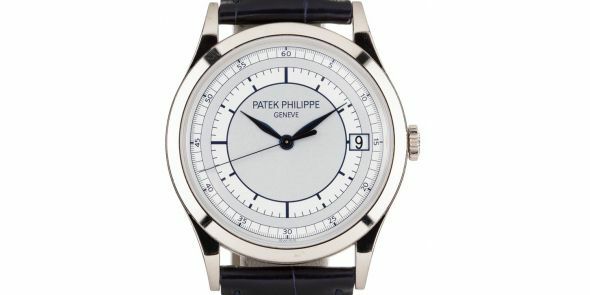 UK retail price £17,100. 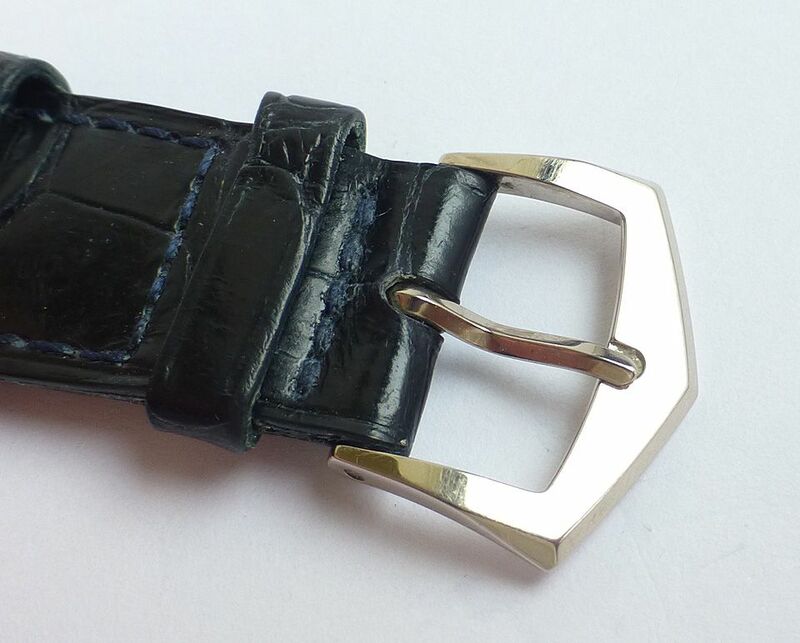 Dimensions are as follows: Width is 32 mm excluding crown and 34 mm including crown, lug to lug is 36 mm.